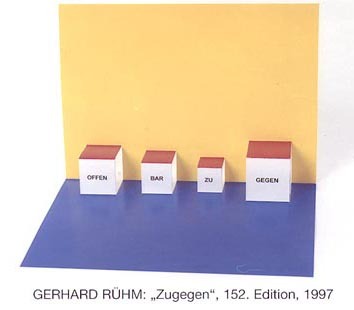 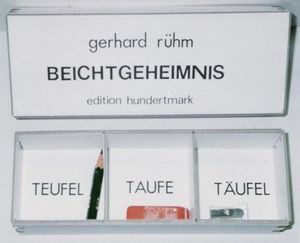 Bleistift und Farbstift, signiert und datiert, 1988, 24 x 34 cm. 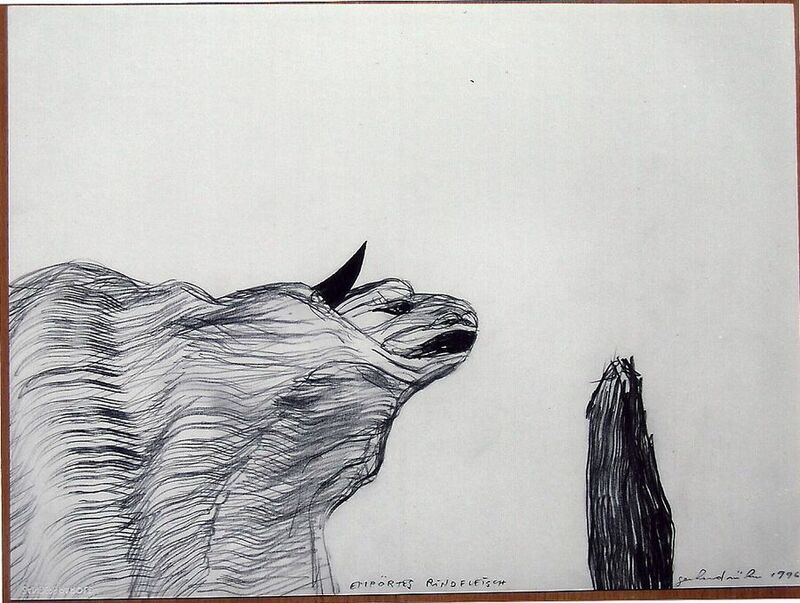 Drawing, signed and dated, 1985, 14,8 x 10,5 cm. 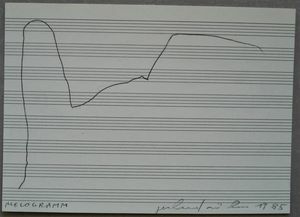 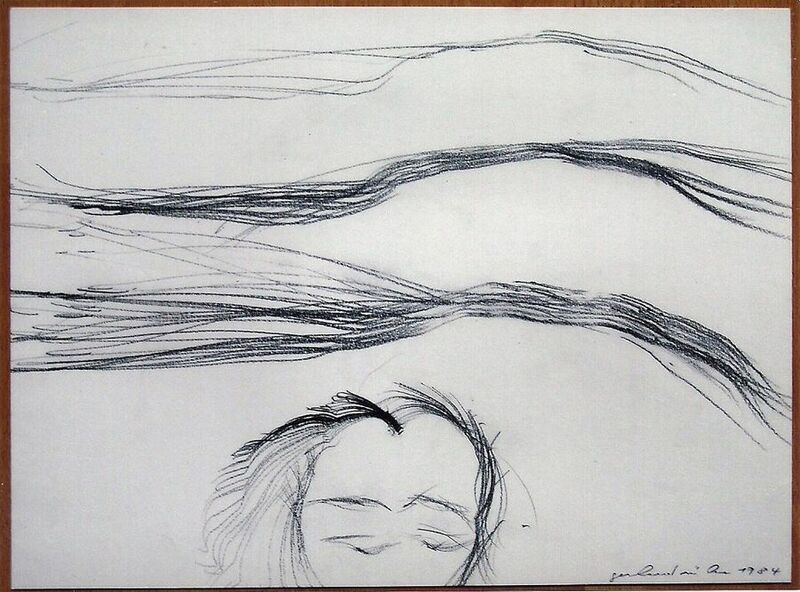 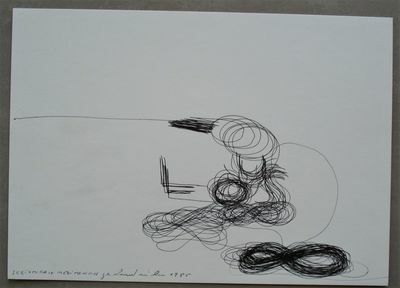 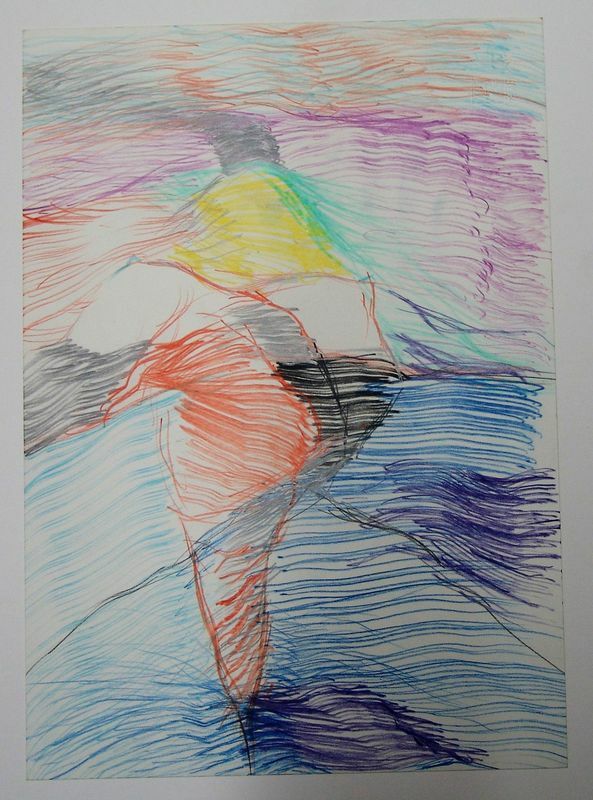 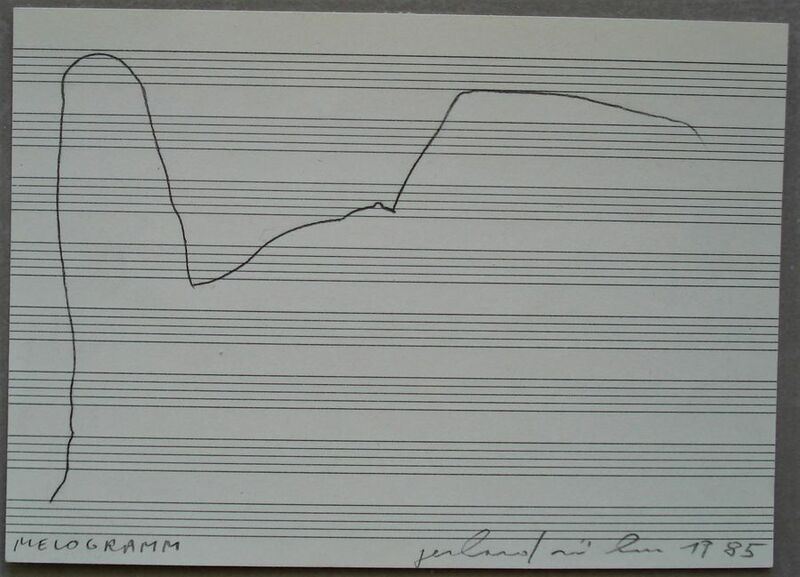 Drawing, signed and dated, 1985, 39,5 x 21 cm. 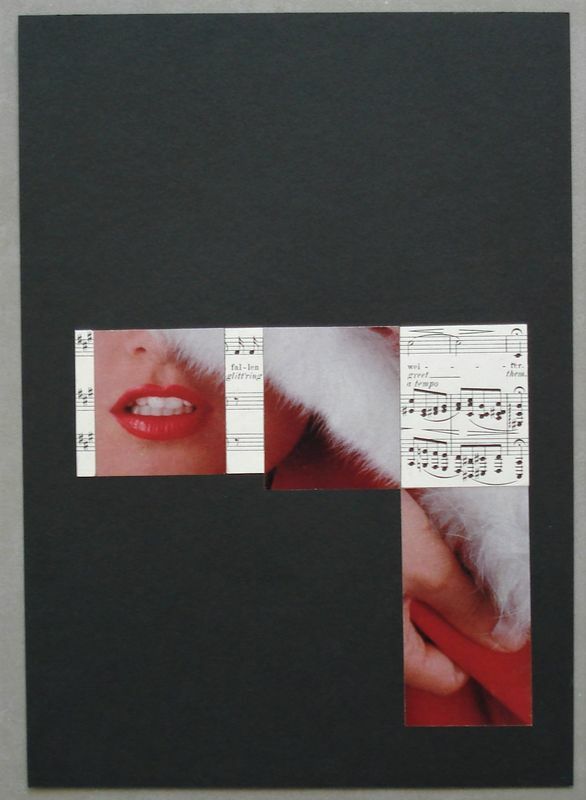 Collage, signed, dated and titeled, 1988, 21 x 30 cm. Pen drawing on cardboard, signed and dated,1986, 40 x 29,7 cm. 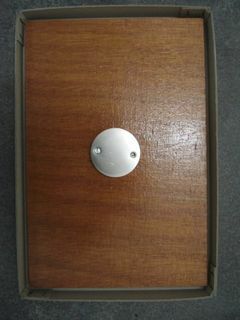 A metal shield with letters. 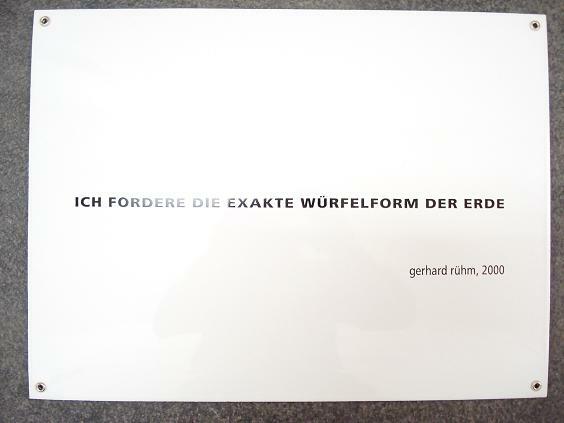 on the back signed and numbered, 40 x 30 cm, from 2000, Edition of 15 copies. 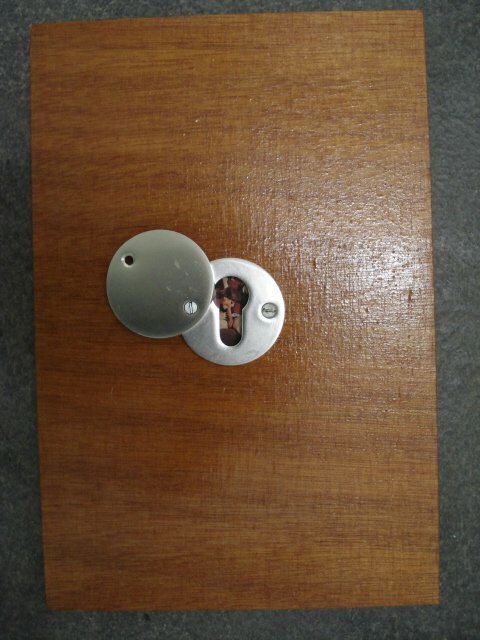 An object off wood, metal and paper. 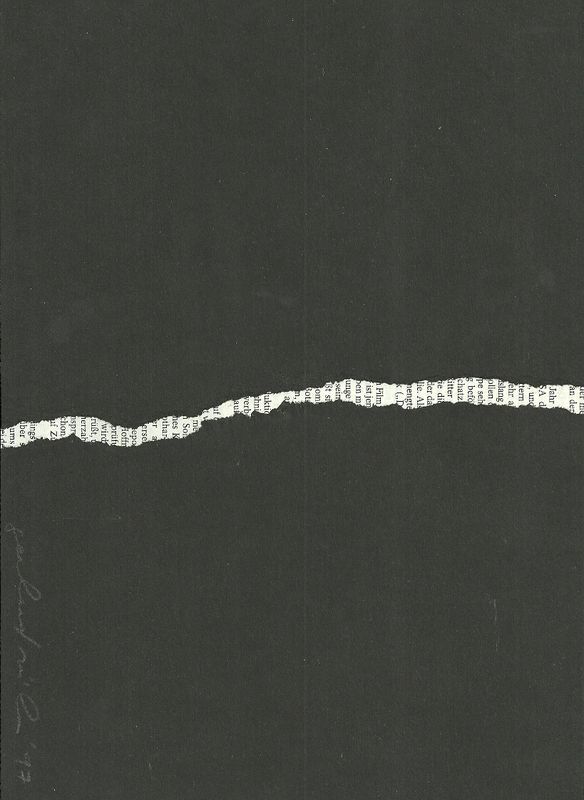 Edition of 40 copies signed and numbered. A book with 48 pages, offset print, 14 illustrations and a epilog to a poem by Johann Heinrich Füssli, include an instruction by Dr. E. Ricke. 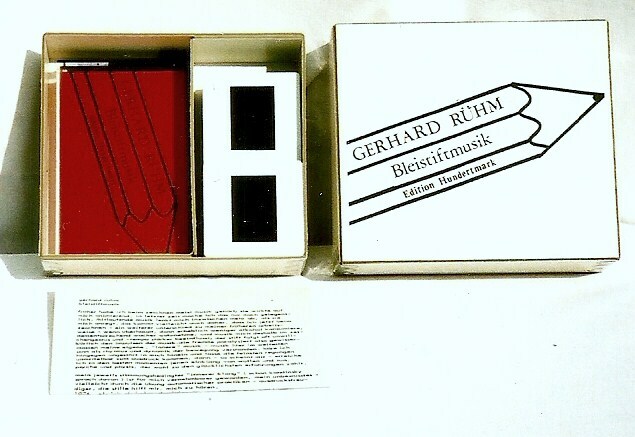 A tape recorder cassette, 20 slides of the drawings and a text. 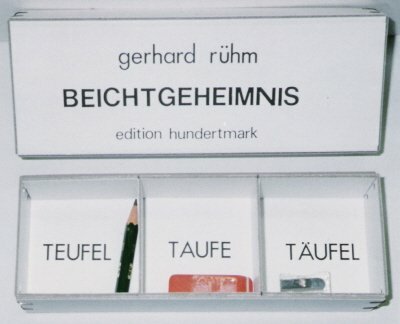 A white cardboard box, reading "TEUFEL / TAUFE / TÄUFEL", (DEVIL / BAPTISM / DEVTISM), a pencil, an eraser and a sharpener. A cardboard card printed red, blue, yellow, black and white, to cutting and folded to a 3D object.